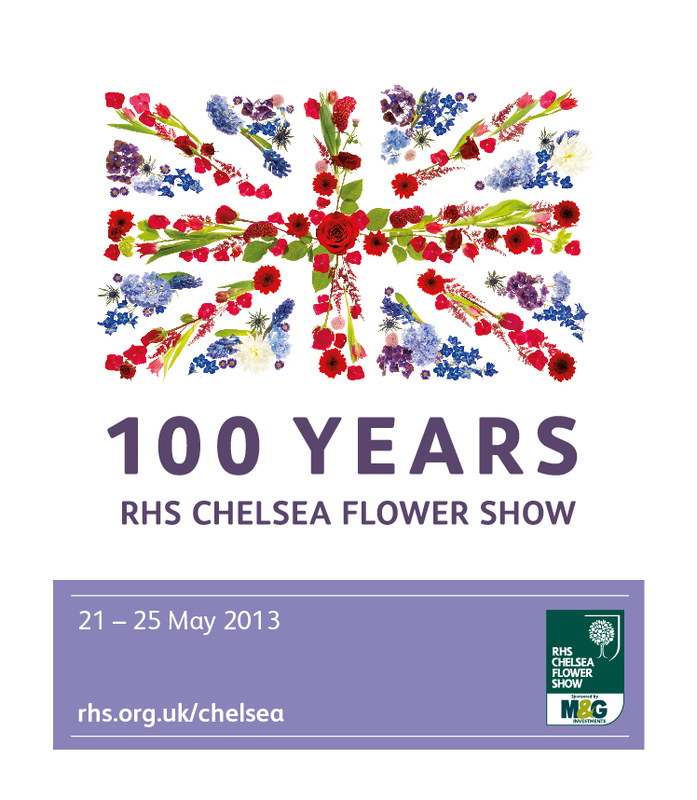 Many thanks to all our visitors and customers for their loyalty. 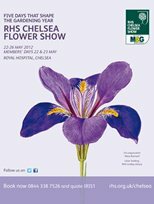 Please discover talented garden designer James Basson with whom Poterie Le Chêne Vert collaborated with great pleasure on the occasion of 2013 Chelsea Flower Show garden contest. 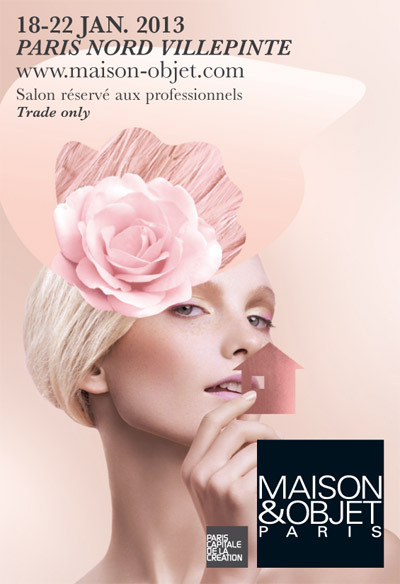 Come and discover our new creations during the Salon Maison et Objet in Paris-Nord Villepinte from the 18th to the 22nd of January 2013. 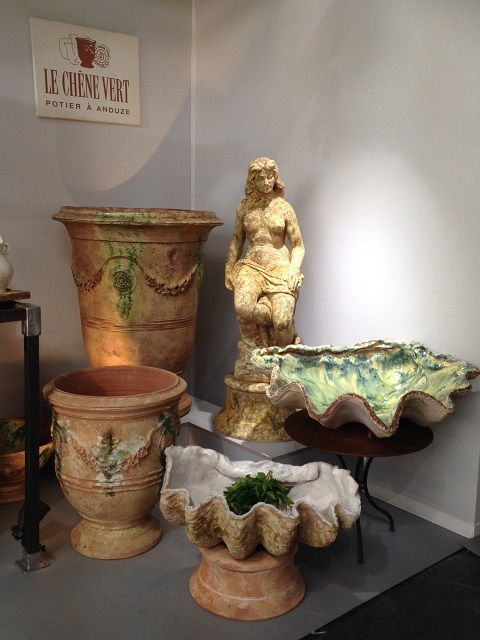 Poterie "Le Chêne Vert" is much honoured to be noticed in the Decofinder newsletter #146 dated 23/03/2012, with special highlights on pots. 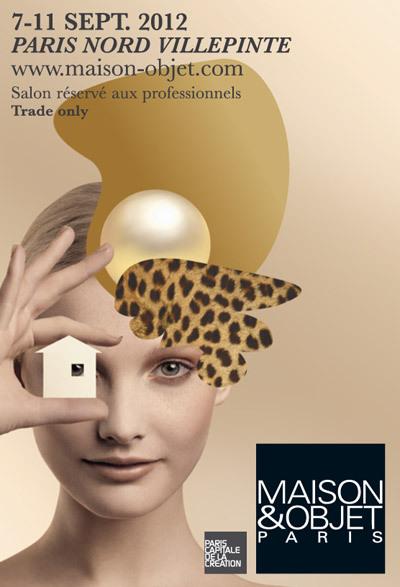 It would be a true pleasure to welcome you on our stand during the Maison & Objet show in Paris from the 20th to the 24th of January 2012. 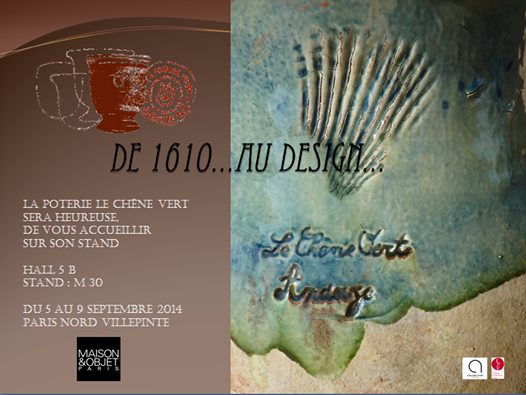 During the "Festival de la Céramique" in the "Parc des Cordeliers" in Anduze (13 to 15 august 2011) you can meet with Yannick Fourbet, one of the owner of the pottery Le Chêne Vert who will join Gilbert Serres, his master, and Philippe Gauthier another ceramist to show the ancient technique of rope-thrown pottery. Please come and visit us on this occasion on the 15th of August and we will explain you how to come to our workshop. 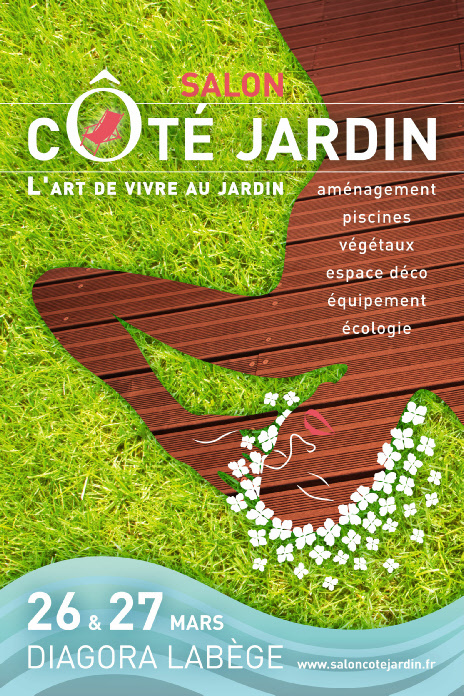 If you wish to come and visit us at the "Côté Jardin" show at Espace Diagora Toulouse / Labège, we will be pleased to welcome you on stand n° H6. 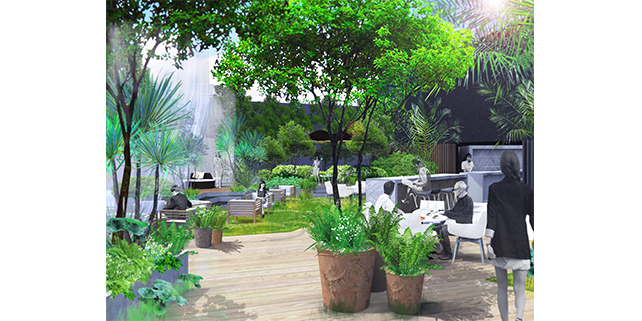 Our workshop has just been awarded by the French Ministry of Economy, Industry and Employment. the «Entreprise du Patrimoine Vivant» (Living Heritage Enterprise) label, or EPV, is a mark of recognition put in place to reward French firms for the excellence of their traditional or industrial expertise. We remind you that our workshop will be opened every Wednesday afternoons from 2:00 to 4:30PM. We look forward to see you. We thank him for the time spent and his decision to integrate pictures from our workshop in his documentary and thank you to our team. 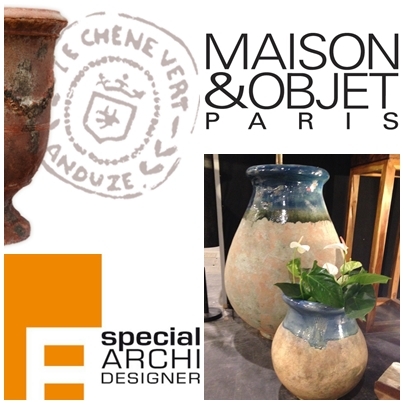 July 30th, 2010 kicks off a year of celebration and discovery on the famous, worldwide reputation of Anduze pottery; needless to mention that the green oak pottery will be taking an active part to this throughout the year. Our website visitors should know that we will be opening the workshop to the public all day, Friday the 30th of July from 9:00AM to 12:00PM and 1:00PM to 4:00PM. 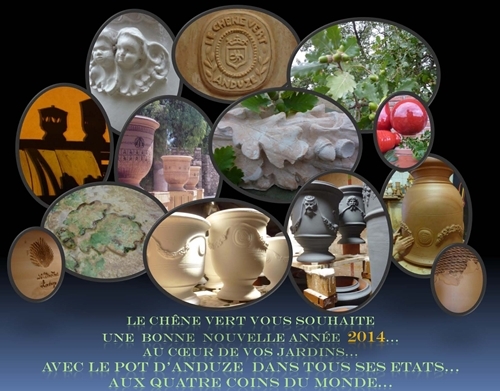 Promises are made to be kept and following the recent order of 20 Anduze planters made in our workshop for the city of Nice (our reference: Versailles Antica) , the city hall street in Nice now displays our production as shown on the following picture. 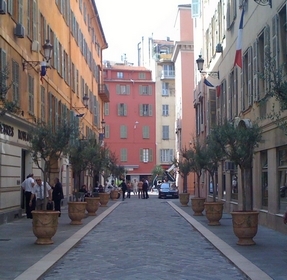 We are currently making 20 planters for the city of Nice due for spring 2010. We will not fail to show pictures of our Anduze Versailles Antica as soon as the street restorations project is done. We have decided to refocus our activity at the workshop which is located 3 kms away on the road to Ales from Anduze. 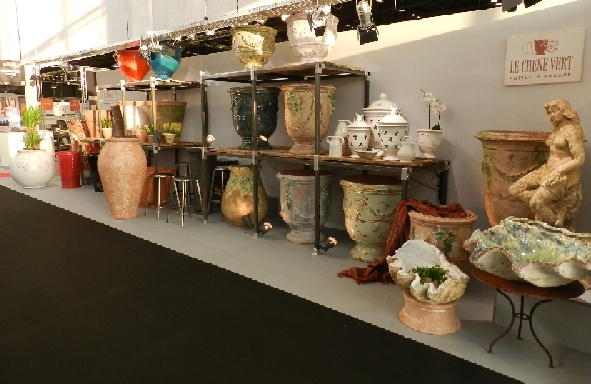 Next to the workshop you will discover our new selling space.